Veronica Gritsenko, a Ukrainian scientist, artist and scholar was introduced to Myanmar culture by a Buddhist monk. She traveled widely across Myanmar to find a niche to be able to apply her knowledge and devote herself to this country. After exploring its many arts and crafts forms, she set her sights on the lacquer arts tradition in Bagan. She was in both marvel and sorrow that such a beautiful and ancient art form was in decline. In 2000 she established Black Elephant studio in Bagan and set out to develop her own unique technique and designs based on ancient methods and materials. 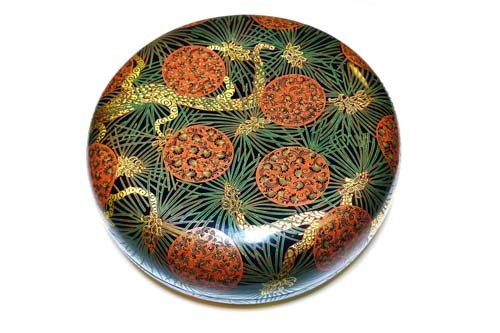 With the objective of elevating the practice of lacquerware from a craft to an art form, Veronica spent years researching and experimenting with crafting techniques and color formulas. She has introduced new colors such as lilac, coral, beige, and shades of blue and green, and has enhanced the quality of the base, creating strong layers that withstand movement, thus preventing cracking and breakage. As a result, Black Elephant lacquerware is amazingly resilient and strong. 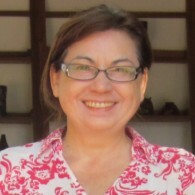 In 2007 Veronica Gritsenko established an institute to help preserve Ancient Burmese lacquer art for future generations.